Although the president walked back his promise for an Obamacare replacement ahead of 2020, lawmakers can neither escape the issue or muster a strong response. It’s clear that a week into the Trump-mandated makeover as the “Party of Health Care,” few lawmakers want ownership of an issue proven toxic to Republicans’ political futures. The GOP has been deadlocked on a replacement since its high-profile repeal effort collapsed in the fall of 2017. That’s left the party paralyzed — reluctant to contradict Trump but scared of entering another campaign cycle without a coherent health care message. Those most qualified to craft a plan have no interest in the job, while others eager for another repeal effort aren’t gaining traction. Outside conservative groups aren’t doing much better, despite spending more than a year trying to build support for their ideas in Congress and the White House. The “Health Care Choices” proposal developed by the right’s prominent think tanks would give states block grants to cover residents — a concept the authors argue can start the process of following through on Trump’s pledge to tackle the issue after 2020. 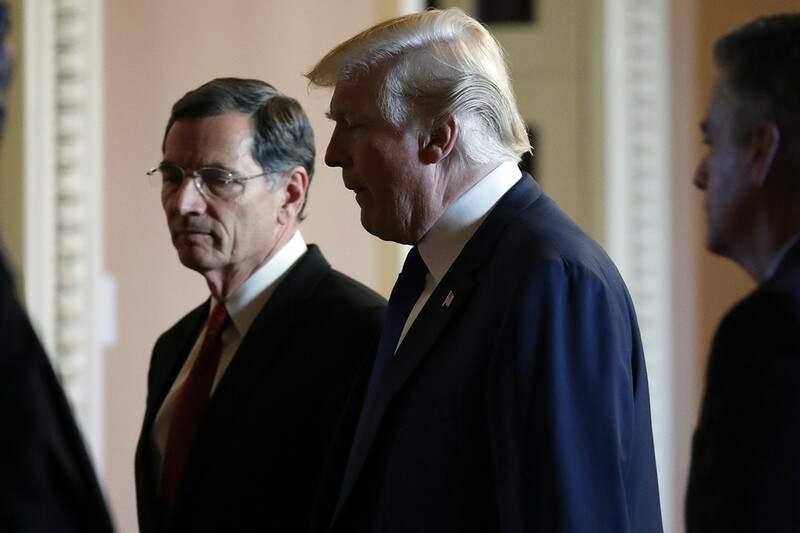 The one opening Republicans felt confident they could exploit — attacking Democrats’ “Medicare for All” proposals as a reckless threat to private insurance — was undercut by Trump’s renewed offensive against Obamacare.